THE Queen’s Award for Voluntary Service has been awarded to Leighton Buzzard Railway (LBR), South Tynedale Railway (STR) and Metropolitan Water Board Railway Society (MWBRS) volunteers. The award is the highest for volunteer groups in Britain and the equivalent of an individual MBE. These 2017 awards were announced on June 2, the anniversary of Her Majesty’s accession to the throne. 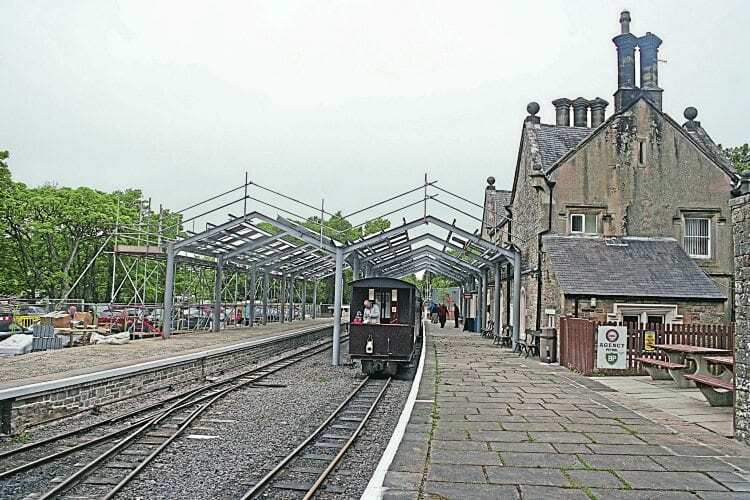 STR’s award comes as the railway approaches the opening of its extension to Slaggyford at an invitation-only formal event on July 24, with public opening the next day. LBR’s award, given for ‘Fifty years of conserving England’s industrial railway heritage in Bedfordshire’, will be formally presented by The Lord Lieutenant of Bedfordshire on July 28. The society is celebrating its 50th anniversary this year, and the award follows the Heritage Railway Association’s (HRA) Peter Manisty Award in February. The MWBRS award is for work in support of the Hampton & Kempton Waterworks Railway Company, which operates the ‘Hanworth Loop’ and aims to restore part of the original 2ft-gauge line, which served water pumping stations in the Hampton and Kempton area. Read more News and Features in the July 2017 of The RM – on sale now!